Former Manchester United first-team coach Rene Muelensteen has given an insight into what was expected from him as a coach under Sir Alex Ferguson. The legendary Scotsman was known for putting out teams that went all out in attack, and stoppage time was even termed ‘Fergie Time,’ as it would usually be the final moments of the match where his team would throw the kitchen sink at their opponents. The tactician oversaw 1500 games, and witnessed his fair share of ups and downs, but one thing never changed, and that was his winning mentality. It was a trait that was so infectious and was drilled into every team he took charge of over the years. Muelensteen, who was by Sir Alex’s side for six years, and won four Premier League titles and a Champions League in the process, has now revealed that the 75-year-old didn’t just simply want to win, but there was a certain way in which he wanted his team to play in order to get the results. 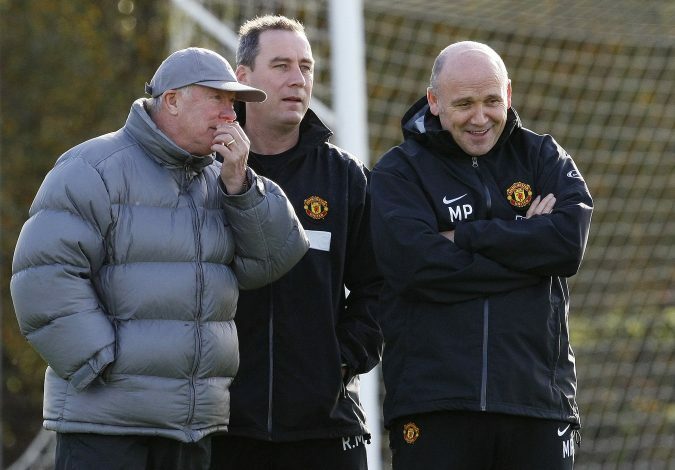 “The ultimate aim was to win, but Sir Alex wanted to win in a certain style,” Meulensteen told Trainingground.guru.